When it comes to makeup, the trend is steering towards more natural looks compared to bold style. Minimal fuss free makeup that highlights key features on your face is a great way to compliment your outfit. Though once in a while, the need for festive makeup may come, however, in most of mundane days, it is quite a challenge to get dressed up without actually looking dressed up. Okay, you understand what we mean. 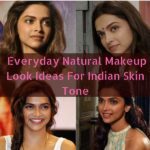 From attending college, to running errands with friends, sometime we need no-to-bright makeup looks that can make our face look radiant. So we are always in look out for easy understated make up looks that we can quickly incorporate in matter of minutes on our busy schedule. 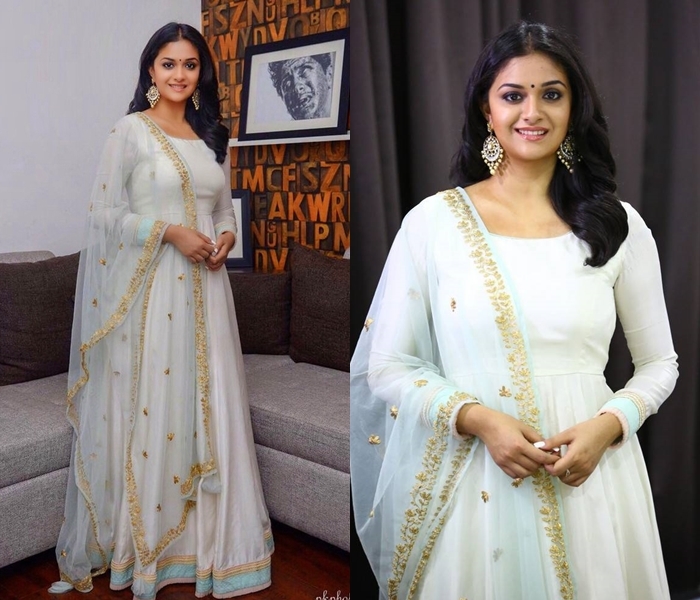 This week, we spotted Keerthi Suresh on three similar makeup looks that is so wonderful and practical to give ourselves a try. The pretty actress has been busy doing lots of promotional events for her upcoming movies and she turned to simple smokey eyes, black bindi and huge chandbali style earrings to ground her look. 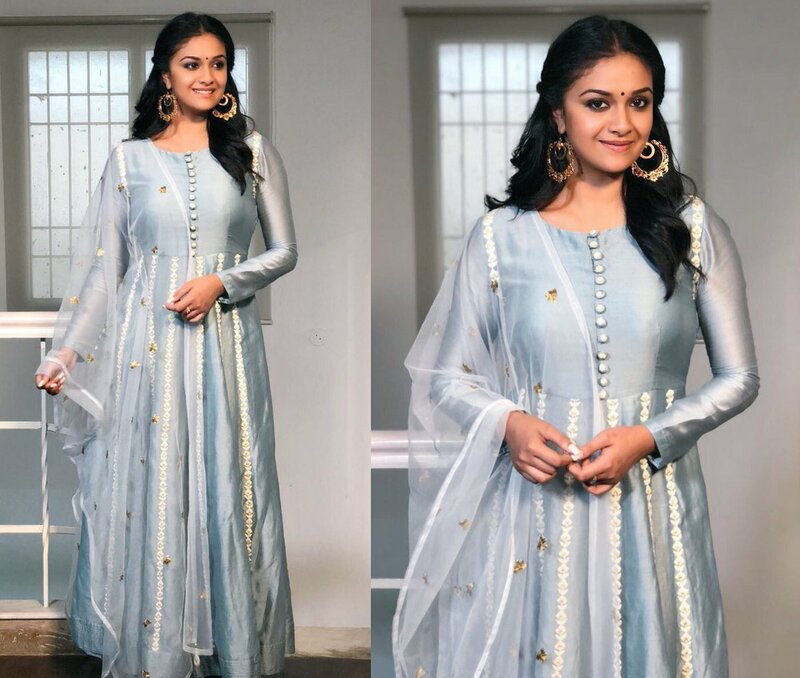 We have bookmarked this look of Keerthi Suresh a try ASAP. You should as well.